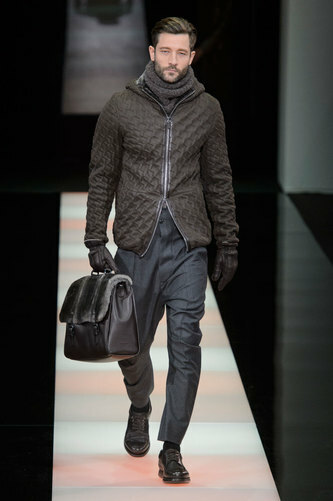 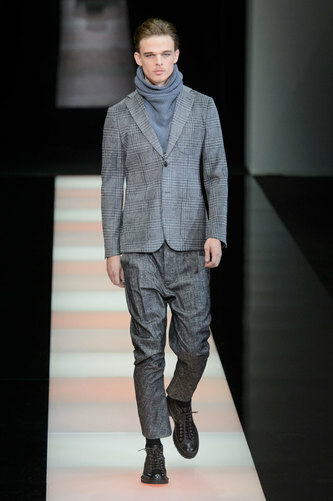 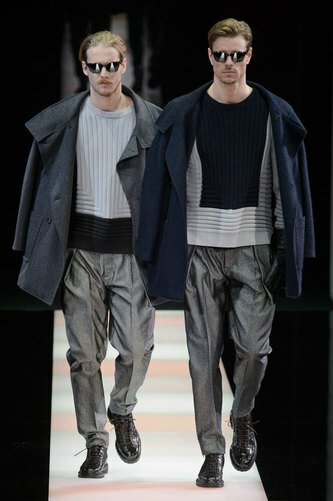 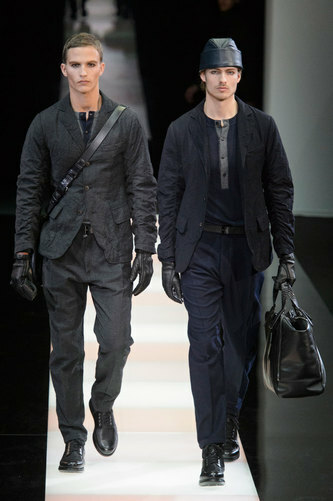 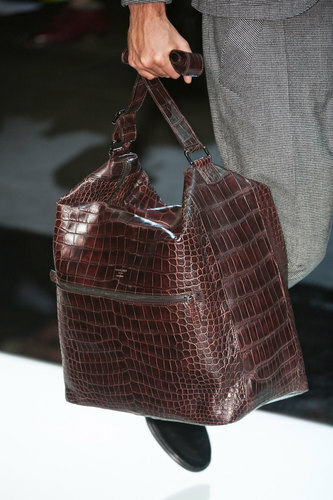 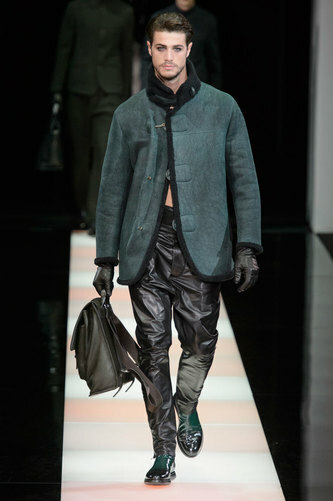 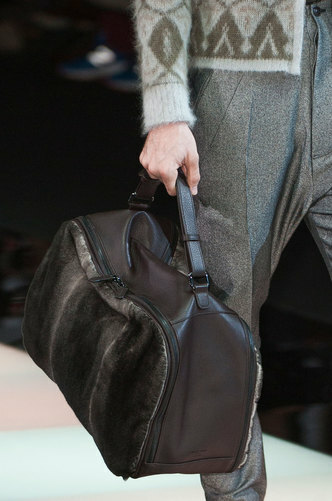 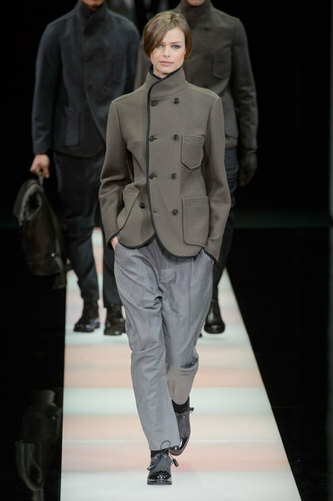 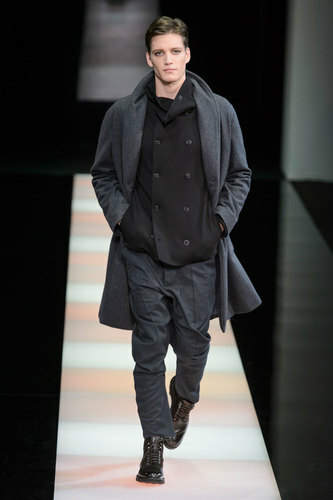 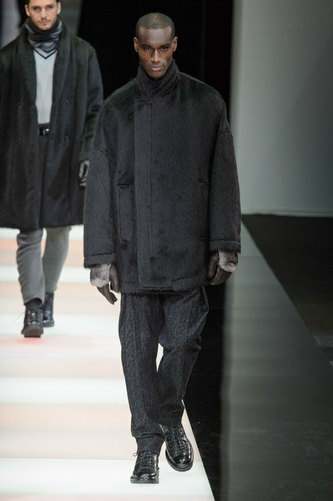 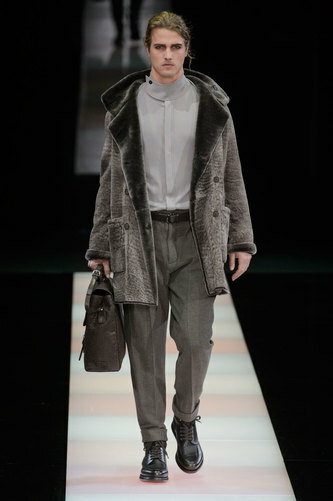 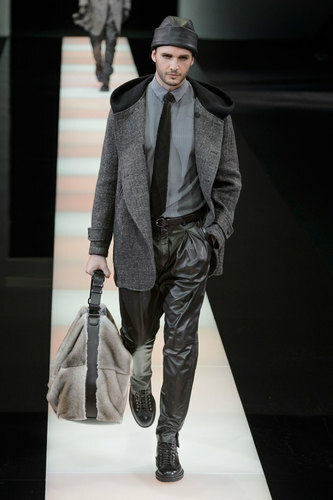 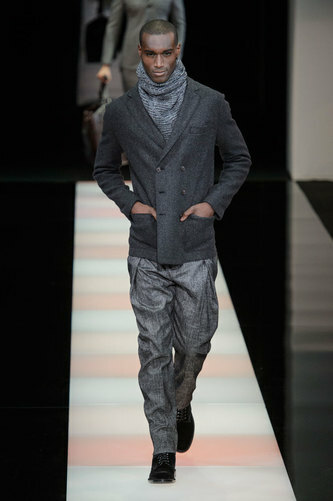 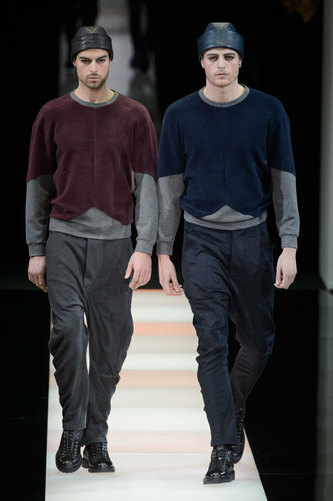 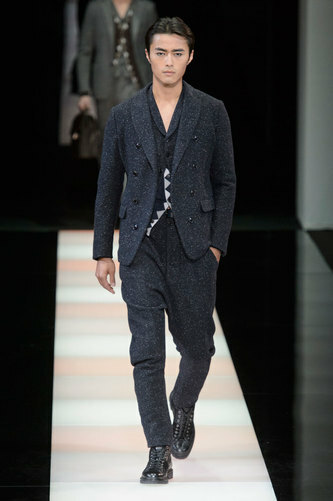 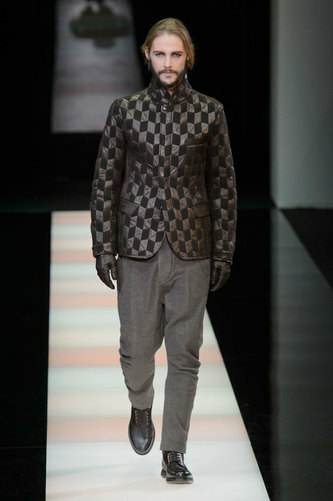 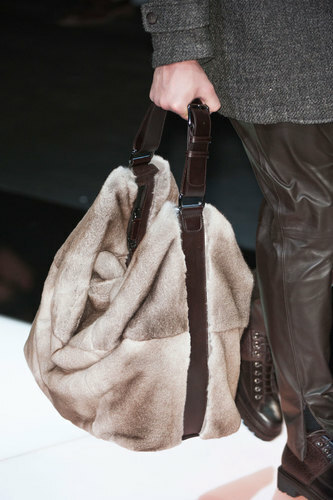 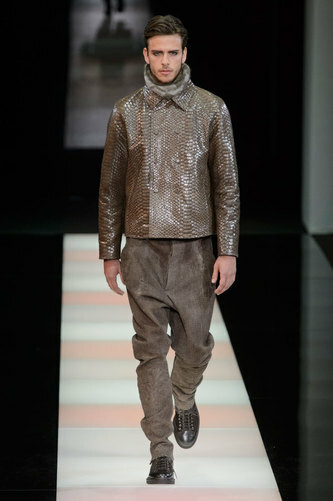 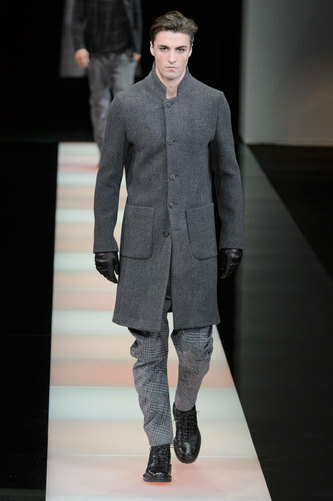 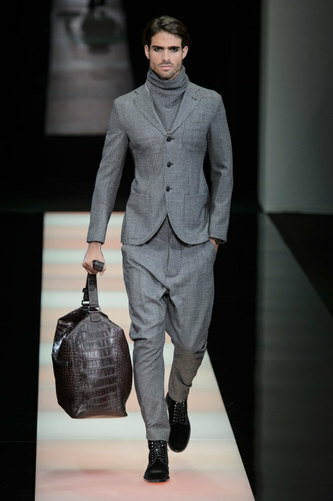 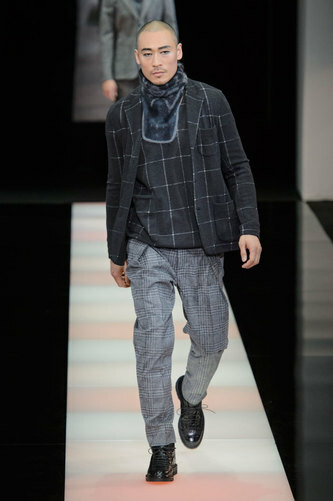 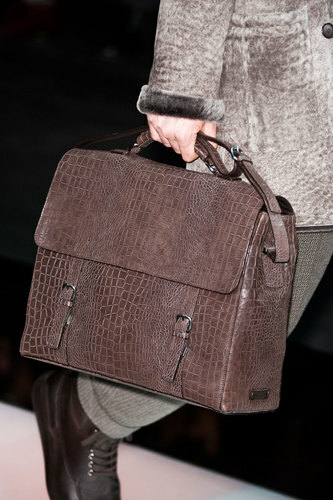 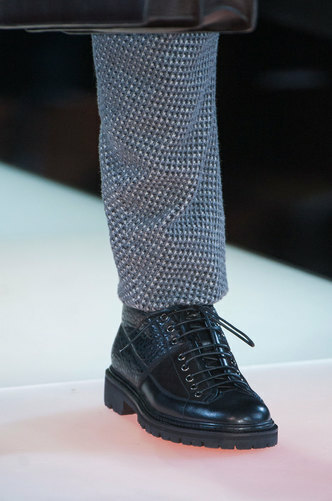 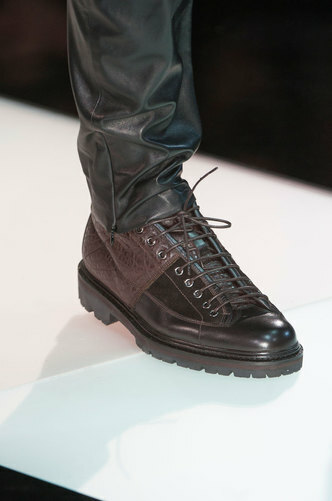 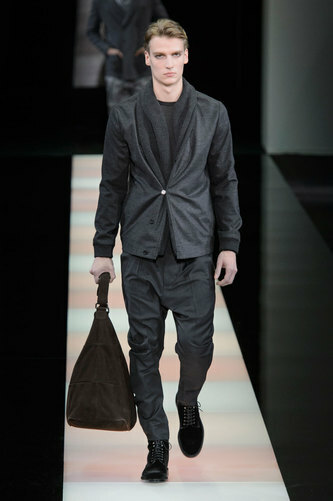 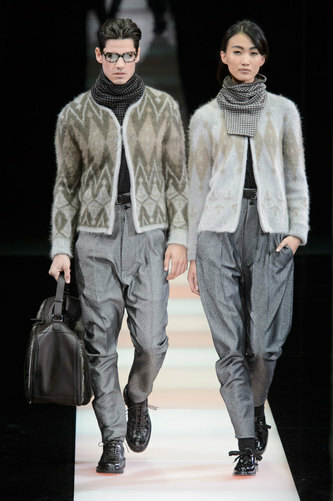 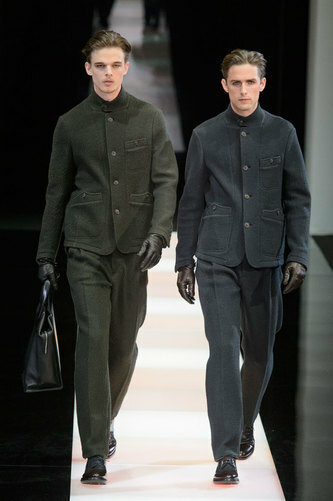 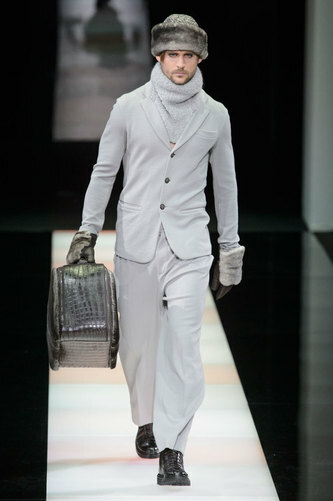 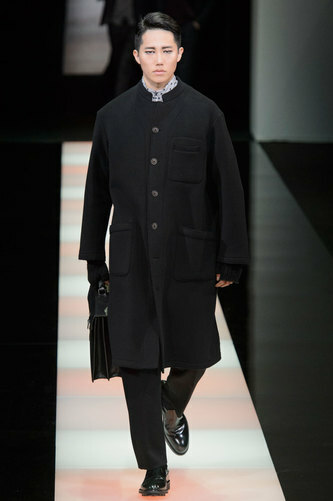 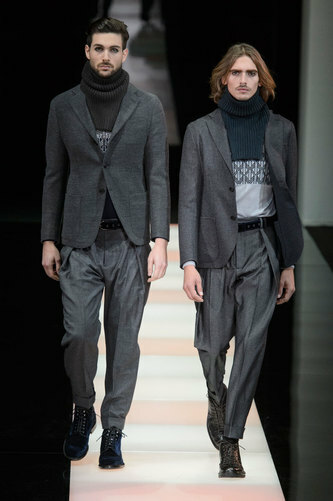 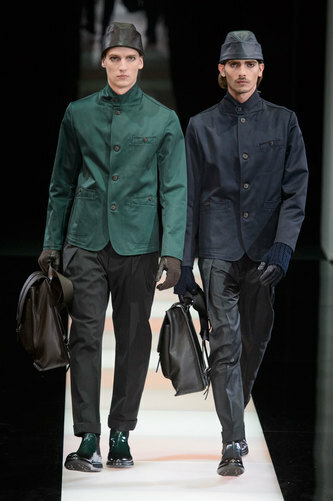 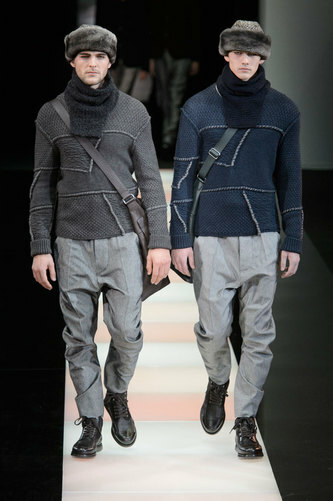 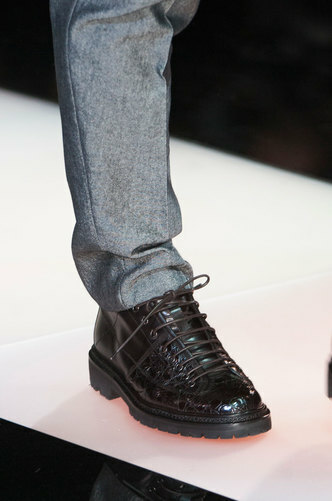 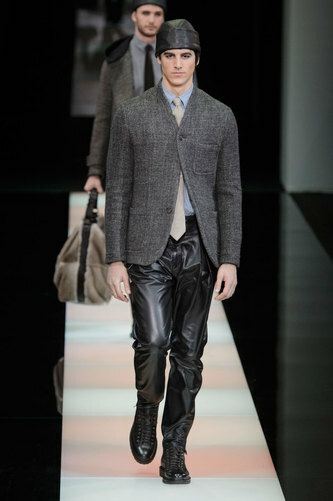 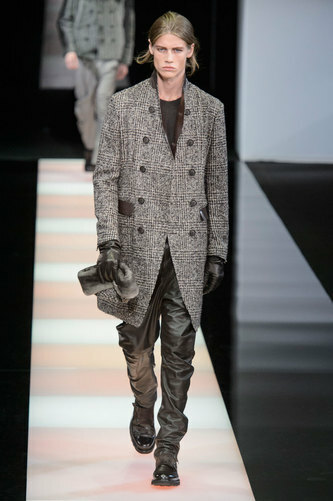 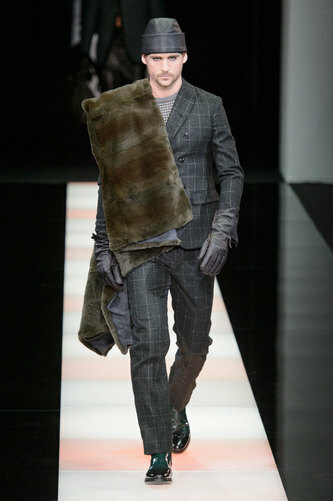 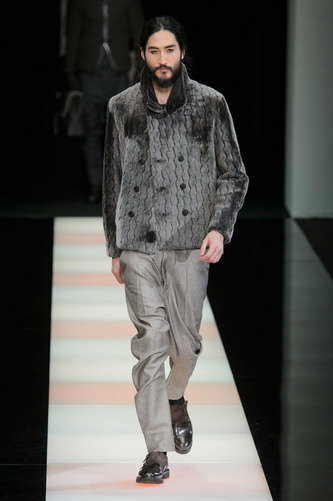 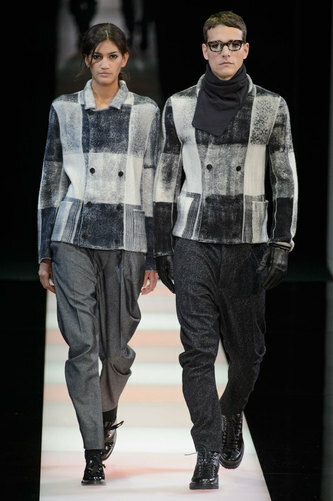 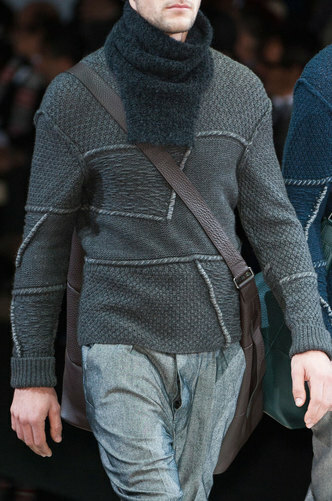 Giorgio Armani Man Autumn-Winter 2015-16 – Giorgio Armani’s pure sense of style is stunning for this season. 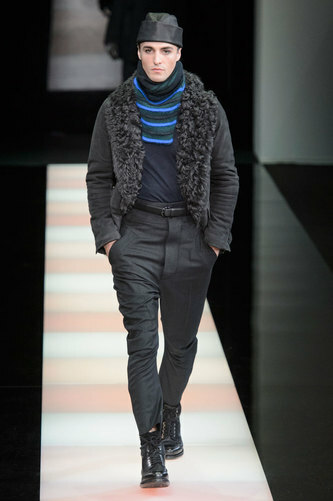 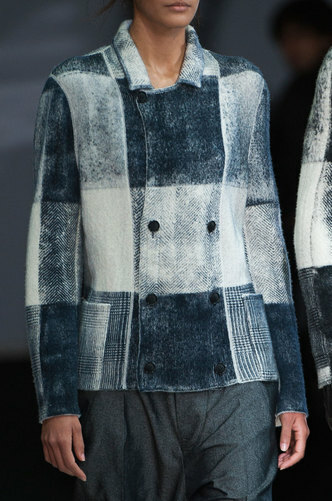 He opens the collection with tones of ice and blue being able to spread a luxurious serenity. 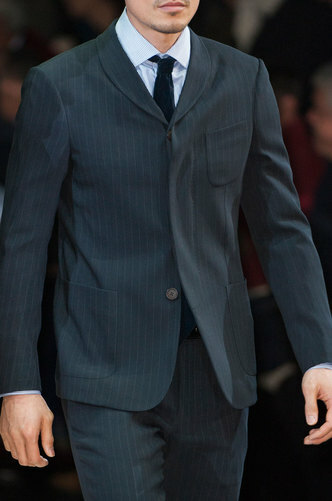 His tailoring skills are undeniable. 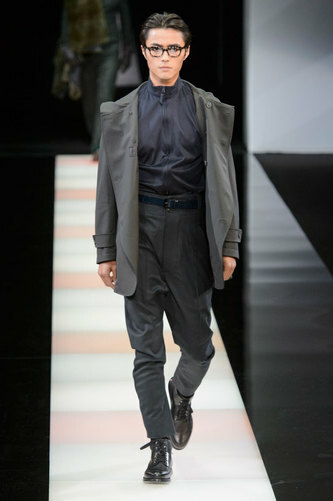 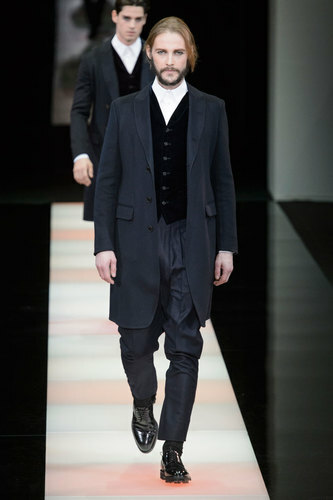 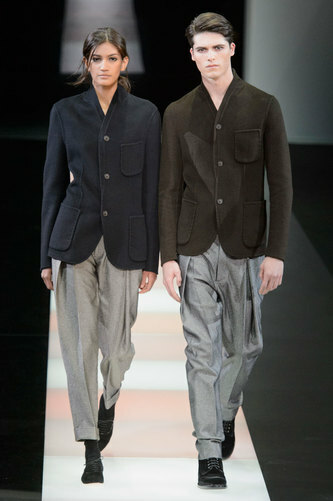 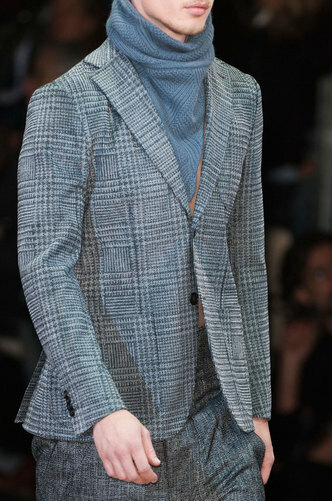 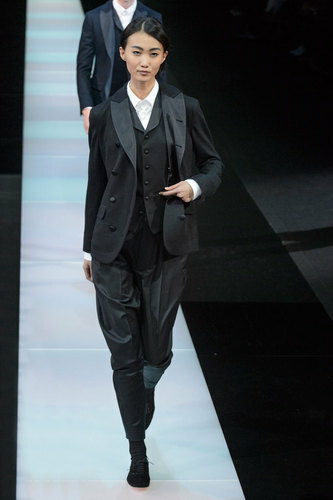 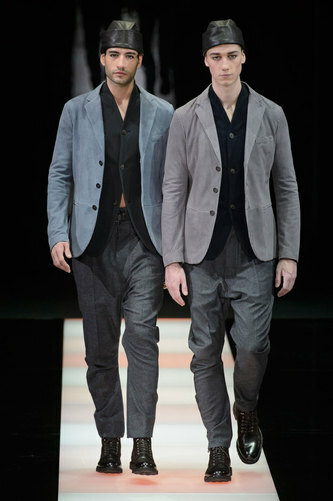 Men and women walking the runaway in similar garments, wearing the unique blazer Armani’s shape and same refined textiles. 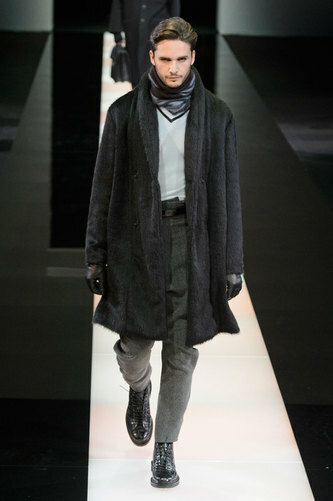 The Armani man wears turtlenecks, double chest coats and elegance knitwear in dark tones with a hint of burgundy now and then. 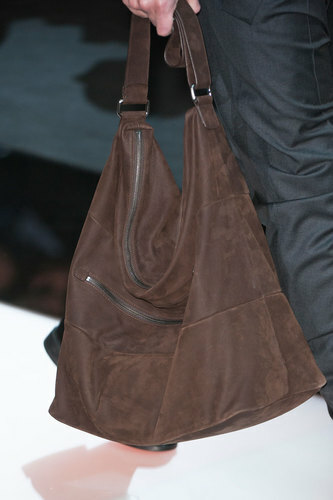 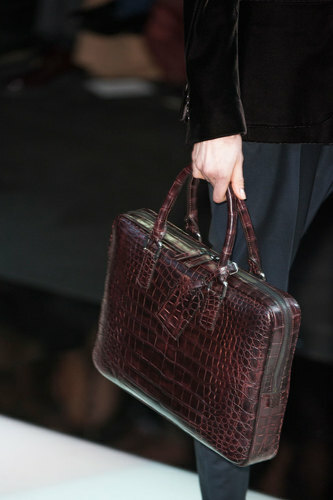 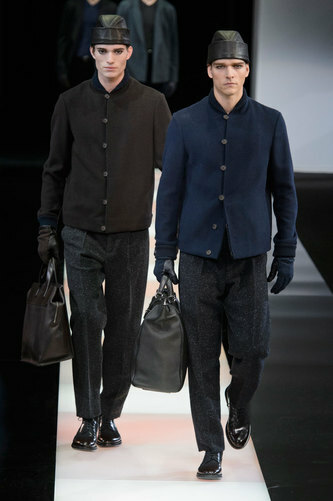 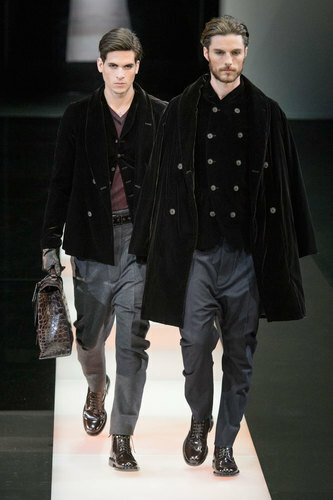 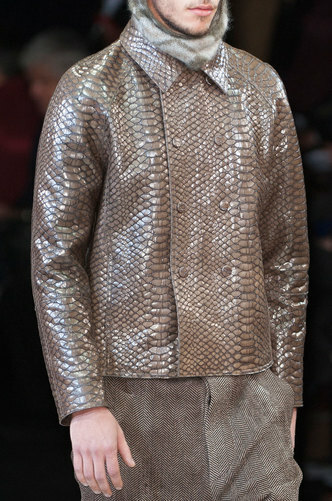 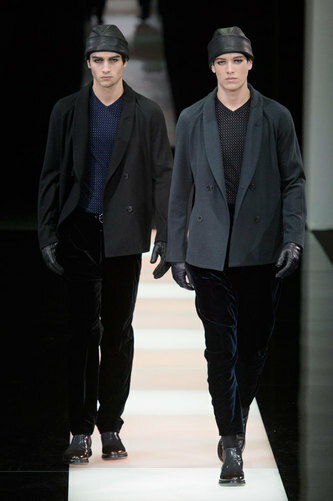 As in the Armani tradition, East and West meet on the runaway. 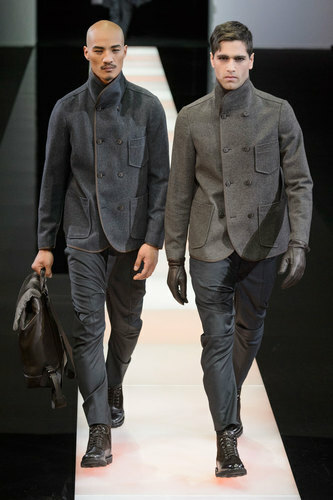 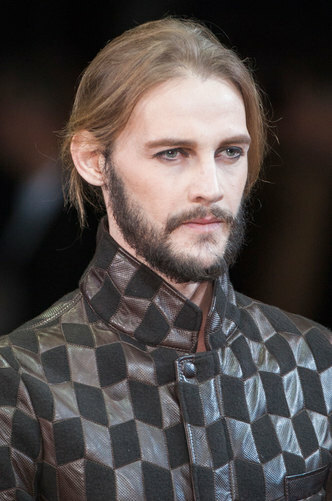 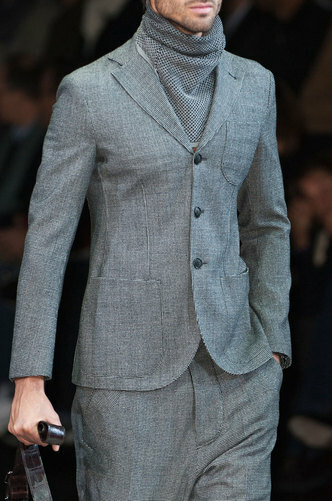 Emperor collars, fitted jackets with rounded lapels and silk are reminding of far Asian and East trends. 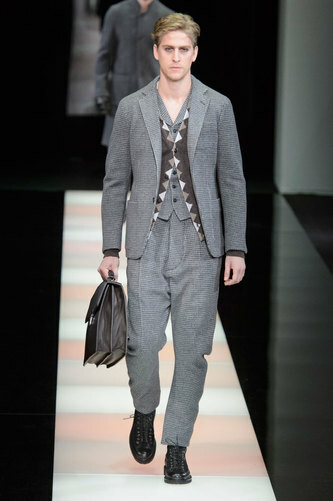 The last part of the collection is represented by elegant 3 pieces suits wore by men and women in a casual proud style or embellished by ties.